Stirling, S.M. Black Chamber . Ace 2018. What if: William Taft died in May 1912, and with the Republican vote not split, Teddy Roosevelt was (re-)elected president later that year. 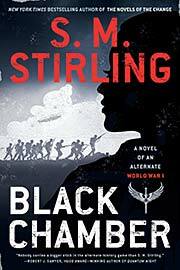 Summary: Adventures of a spy of the Black Chamber in a different Great War. Published: Ace 2018 (0399586237w88 android). Series note: Sequel to Black Chamber . Published: Not yet published; expected from Ace in May 2019 (0399586253BUY).